The 2013-14 regular NHL season came to an end on April 13th, capping off another great year of NHL hockey. For some players, this is the time to rest and prepare for what they hope is a long playoff run. For others, it’s about evaluating their season, cleaning out dressing room stalls and preparing for the off-season. 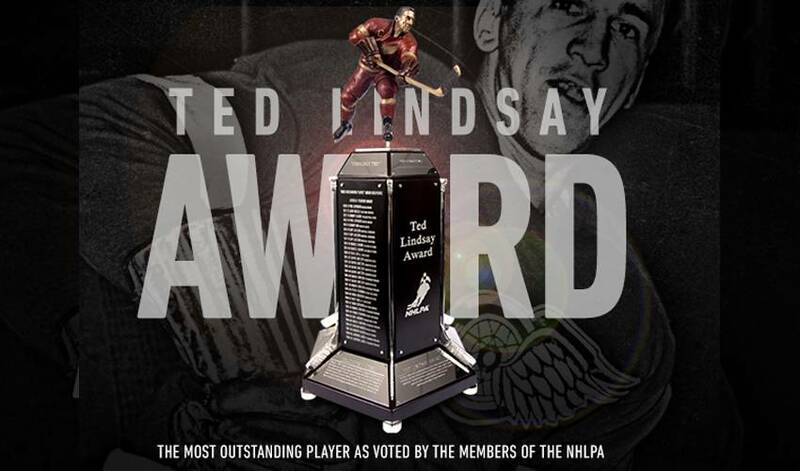 This time of the year also marks the casting of player ballots for the Ted Lindsay Award. Though many awards are distributed to deserving players each year, the Ted Lindsay Award is the ultimate honour for a player to receive because he is chosen by his peers as the most outstanding player in the game for the season. In a game where so many players continuously display endless skill and ability, that’s quite the honour. NHLPA members send their votes via secret ballot through an internal, players’ only website, after carefully deciding which player they deem to be the most outstanding during the 2013-14 season. Last year’s finalists included Alexander Ovechkin, Martin St. Louis, and Sidney Crosby, with Crosby being named the 2012-13 Ted Lindsay Award recipient. Despite missing 12 games due to an injury, Crosby managed to lead the Pittsburgh Penguins to first place in the Eastern Conference and ranked third in the league in points (56) and second in assists (41) during the regular season. It was his third Ted Lindsay Award nomination and marked his second time receiving the award. Stay tuned to NHLPA.com and follow us on Twitter and Facebook in the upcoming weeks for this year’s finalists announcement, as well as a contest you won’t want to miss!